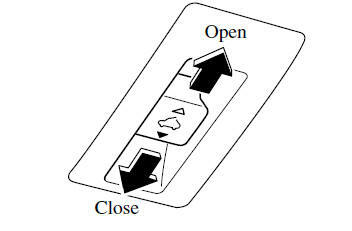 To fully open automatically, momentarily press the tilt/slide switch in the backward direction. To fully close automatically, momentarily press the tilt/slide switch in the forward direction. To stop sliding partway, press the tilt/slide switch.